What State Pension will I get? Nobody wants to work forever, but how are you going to cover your living costs once you pack up work and retire? A key consideration for all of us who are planning to retire in the UK is the state pension. But who gets it? How much is it worth? And when can we start claiming it? First off, it’s worth pointing out that there are two types of state pension available in the UK - the basic state pension and the new state pension. Your age will determine which one you get. 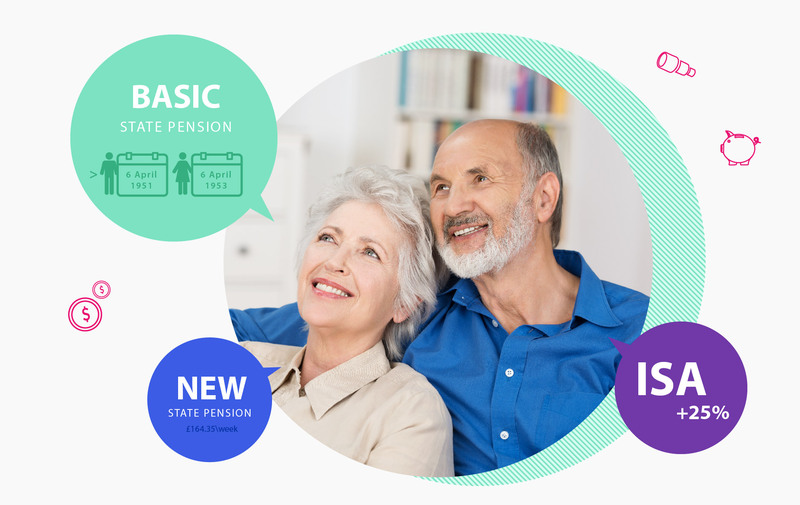 The basic state pension is paid to men who were born before 6th April 1951 and women born before 6th April 1953 - basically, people who were already receiving the state pension before 2016. For everyone else, the state pension you’ll need to concern yourself with is the new state pension. How much is the new state pension worth? The full new state pension is worth £164.35 per week. How much you actually get will depend on your National Insurance record however. In order to qualify for the full new state pension, you will need to have paid National Insurance for 35 years. If you have gaps in your record, perhaps because you took some time out to raise your family or go travelling, then you will receive less. In fact, you need to have 10 years of qualifying National Insurance payments to receive any state pension at all. The age at which you can start claiming the state pension is gradually increasing from 65 to reach 66 for both men and women by October 2020. After that there are further rises planned, taking it to 67 by 2028 and 68 by 2039. That’s because of improvements in life expectancy, which are making it more difficult for the government to afford paying the state pension for such a lengthy period. Industry experts agree that further increases in the state pension age are likely. So the state pension will go up by 2.6% in April, as that is how much average salaries have increased, taking it to £168.60. While it’s welcome to have some support from the state when it comes to our living costs in retirement, the state pension alone isn’t going to get you very far. After all, the UK has one of the least generous state pensions in the developed world according to a report last year from the Organisation for Economic Coordination and Development (OECD). As a result, it’s really important that you put some money aside yourself to help ensure you have a little more money to play with when you pack up work. One good option here is to take advantage of a workplace pension. Employers in the UK are now required to enrol their staff in a pension, and contribute to it. It’s helpful to look at this as essentially a payrise, albeit one that you can’t spend until you reach retirement. The money you put away in a pension is also topped up with tax relief by the government, so it’s one of the most tax efficient ways to save. An alternative to a traditional pension is the lifetime ISA. This is a form of tax-free savings account where you can save up to £4,000 a year, which is then topped up by a 25% bonus from the government annually until you reach 50. You will need to use the cash either for your retirement or as a deposit on a house, or else there will be significant withdrawal fees.